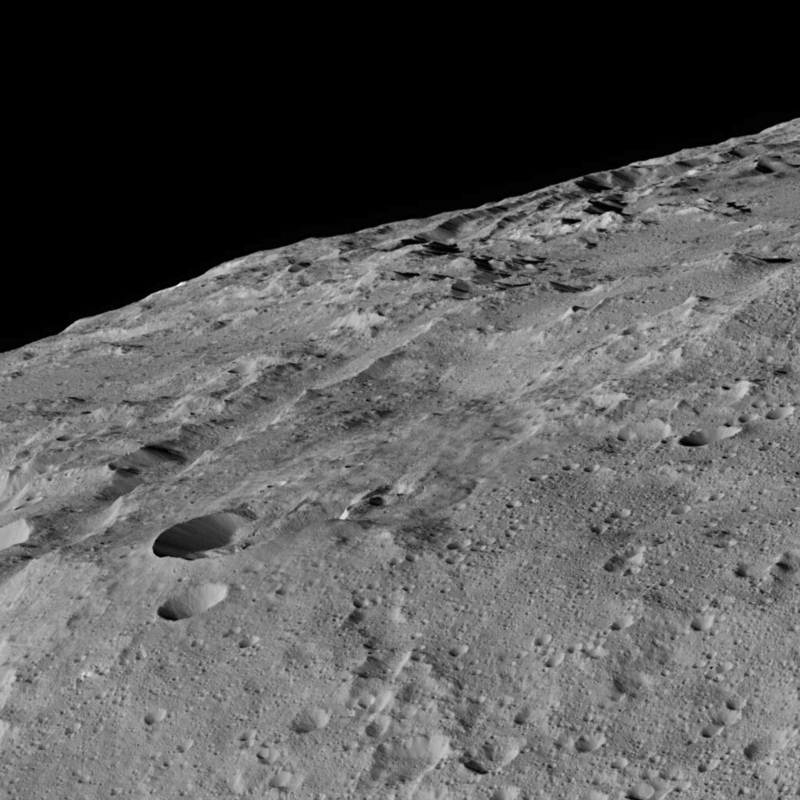 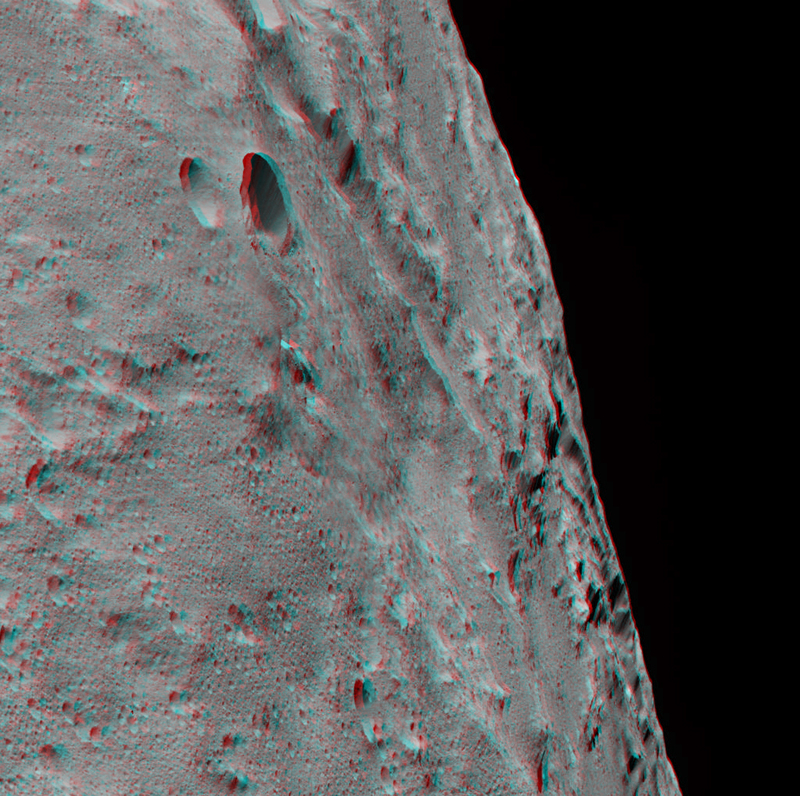 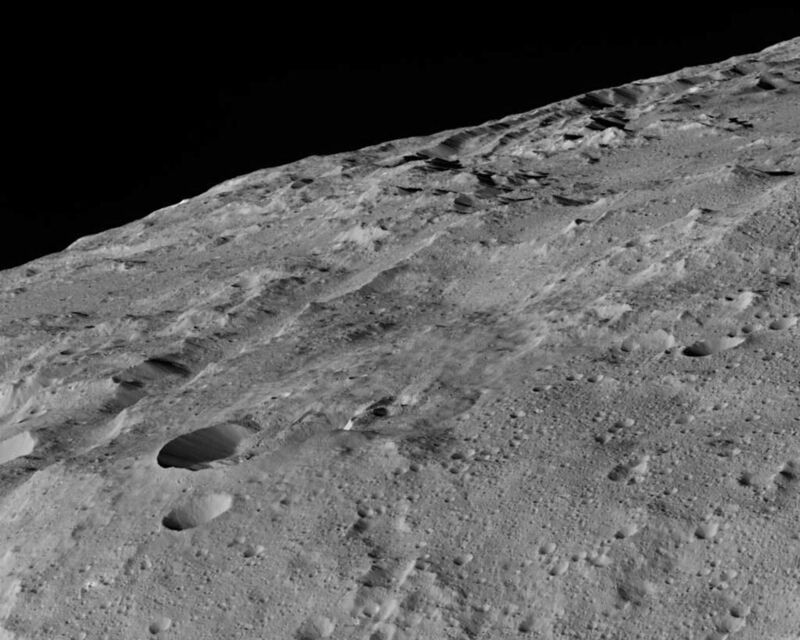 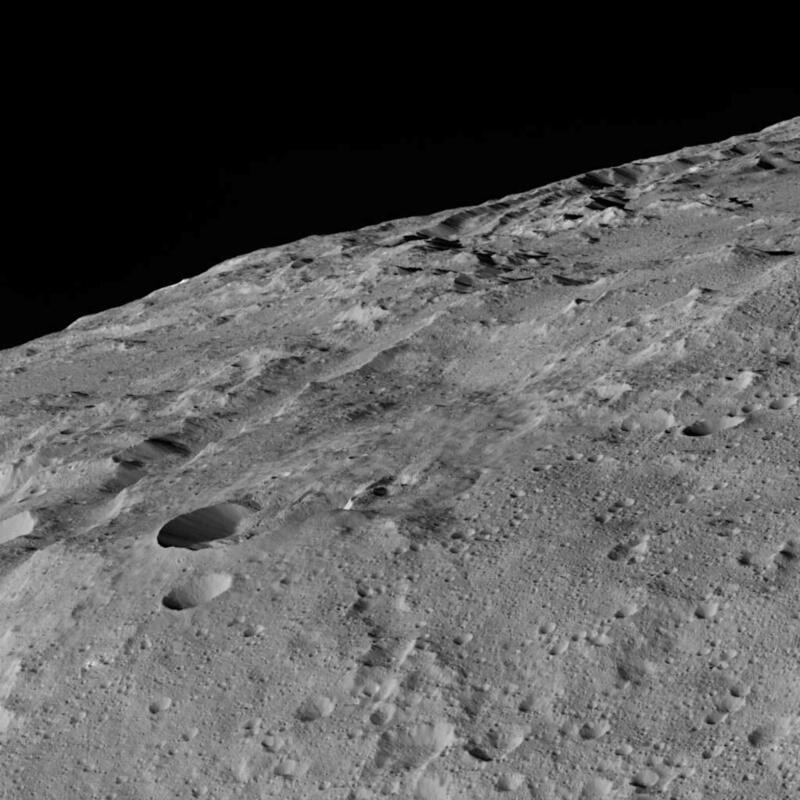 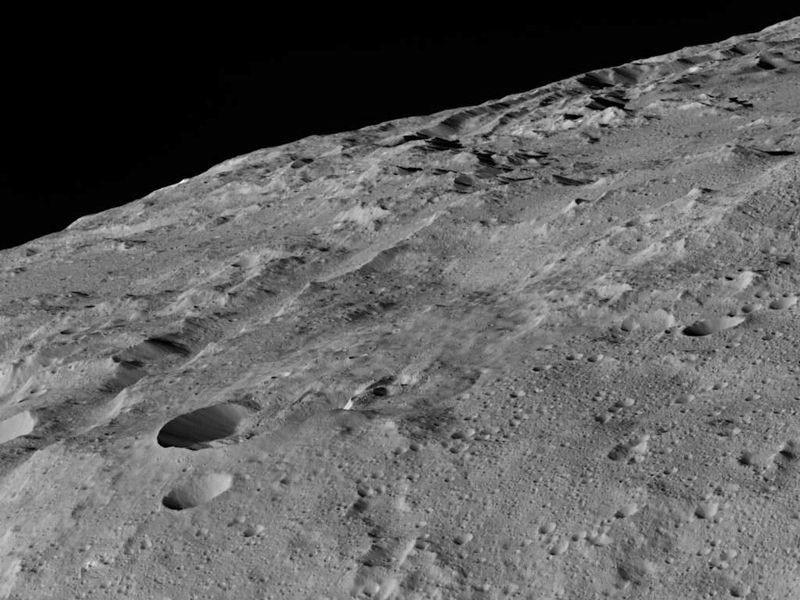 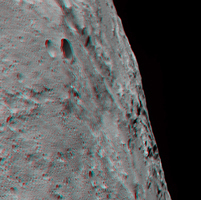 These views of Ceres, taken by NASA's Dawn spacecraft on December 10, shows an area in the southern mid-latitudes of the dwarf planet. 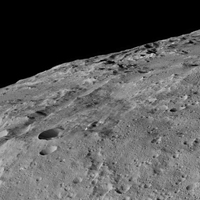 They are located at approximately 38.1 south latitude, 209.7 east longitude, around a crater chain called Gerber Catena. 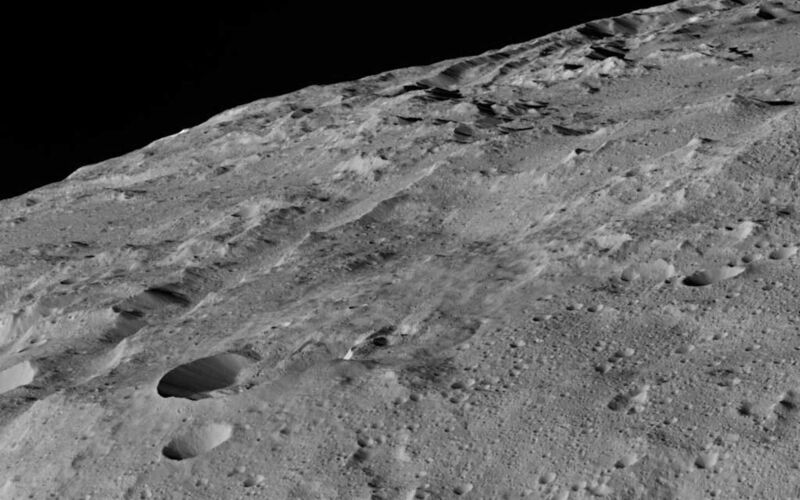 Many of the troughs and grooves on Ceres were likely formed as a result of impacts, but some appear to be tectonic, reflecting internal stresses that broke the crust.